— A gripping mystery about a young solicitor's encounter with a mysterious woman. 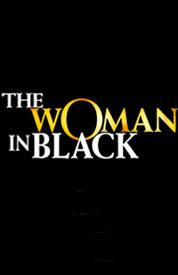 The Woman in Black is the story, told in flashback, of a young man named Arthur Kipps who is sent to a deceased woman's house to learn more about her so her affairs can be settled accordingly. Kipps learns about the lady's reclusive life and while doing so encounters a mysterious Woman in Black. Years later he is still terrorized by his experiences in the house. Did he really see the woman? Are his terrible memories accurate? The truth may be too frightening to reveal.